U.S. stocks fizzled Friday, but that didn't stop the market from logging its best September in decades. 0.3 percent, and the Nasdaq ticked down 8 points, or 0.3 percent. Economic jitters have kept stocks from breaking out of a narrow range this week. And while upbeat readings on employment and economic growth helped spark an early rally Thursday, gains subsided as worries about the euro zone bubbled up. Apparent suicide linked to webcast: New Jersey prosecutors are considering additional bias charges against two Rutgers University students accused of invading the privacy of another student who committed suicide after his sexual encounter with another man was streamed online. Movie star Tony Curtis dead at 85: Screen legend Tony Curtis, who appeared in 150 films including, "Some Like it Hot" and "Spartacus," died Wednesday, his family said. Amy Bishop is accused of shooting three colleagues at the University of Alabama. An investigation into a mail bomb sent in 1993 to a Harvard professor has been closed, Massachusetts' top federal prosecutor said Thursday, following a review of the case prompted earlier this year by the arrest of former professor Amy Bishop. Bishop faces capital murder and attempted murder charges in the shooting of six colleagues, three of whom died, during a staff meeting at the University of Alabama in Huntsville on February 12. 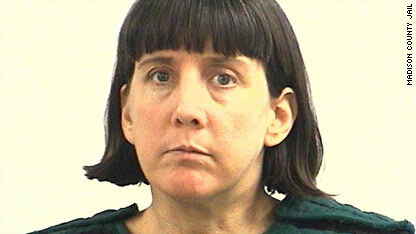 Her arrest prompted several law enforcement agencies and media outlets to take a closer look at her past brushes with the law, among them her suspected involvement in the attempted mail bombing of a Harvard Medical School professor in 1993, according to The Boston Globe. In the week since Tyler Clementi updated his Facebook page with the status, "jumping off the gw bridge sorry," web pages dedicated to the Rutgers University freshman have cast him as a victim of harassment and homophobia. But to those who knew him in his hometown of Ridgewood, New Jersey, Clementi was a kind friend and talented violinist whose passion for music was his main focus. BP Products North America Inc. has agreed to pay a $15 million penalty to resolve federal Clean Air Act violations relating to two fires and a leak at its Texas City, Texas, oil refinery, the Environmental Protection Agency and the Justice Department said Thursday. The fires - in March 2004 and July 2005 - and the leak in August 2005 released thousands of pounds of flammable and toxic air pollutants, the EPA said. The violations were identified during investigations after a separate incident - a March 2005 explosion and fire that killed 15 people and injured more than 170 others, the EPA said. Life-threatening flash flooding in Cape Fear, N.C. 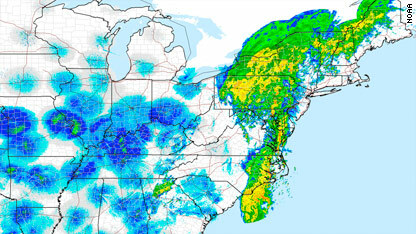 This radar image shows remnants of what was Tropical Storm Nicole, combined with another system, hitting North Carolina. Life-threatening flash flooding is occurring in the Cape Fear region of southeastern North Carolina. Wilmington, North Carolina, set an all-time 3-day rainfall total today, according to the National Weather Service. With additional rain in the forecast, September 2010 could become the wettest September on record in Wilmington. Records in Wilmington, North Carolina date back to 1871. The 3-day, all-time record (recorded since Monday) is 19.66 inches. That shatters the old record of 19.06 inches set from September 14 through September 16, 1999, during Hurricane Floyd. Utah runner Karl Meltzer attempts to run the entire Pony Express trail. Since September 15, Karl Meltzer has run 782 miles. No big deal. He's got more than 1,000 more miles to go. The Utah runner, best known for running the entire Appalachian Trail in 54 days in 2008, has taken on his next big challenge. Meltzer is running 2,000 miles across what was the Pony Express route, crossing the Rocky Mountains and Great Plains from Sacramento, California, to St. Joseph, Missouri. The Pony Express was the primary mail service for the country in the 1860s before the invention of the telegraph. The 42-year-old is sleeping in an RV each night. 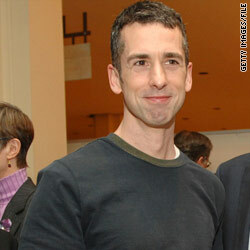 "I wanted to do something that was historic, above and beyond what anyone else has done," he said. "And you've got so much time out there. When I'm by myself, I'm constantly taking it all in, being reminded of how cool it is to do this for a living." 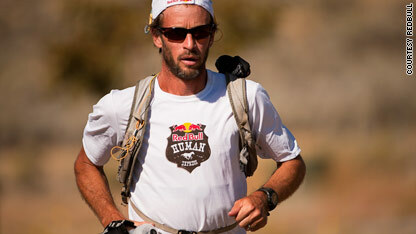 Meltzer's run is sponsered by Red Bull which hosts endurance and extreme-sporting events around the globe. Meltzer has a paid crew of four people who are making sure he eats mostly fatty breakfasts and carbs and sugar throughout the day. He's running about 7 mph, 50 miles each day. A doctor checks his vitals daily. Meltzer expects to finish the adventure in late October. You can check his progress at www.karlmeltzer.com. There’s rarely a dull moment in NBA training camp, and this year is no exception. But it hasn’t been just Carmelo Anthony’s yes, no, maybe free agency that’s been raising eyebrows and frustrating fans. We can now toss some anger and ire toward Lakers big man Andrew Bynum. The center is stirring up a bit of controversy for having put off knee surgery so that he could head to South Africa for this year’s World Cup. "I had to have the surgery when I was ready for it," Bynum explained to ESPNLA.com. "I was coming off the emotional high of going out and winning your second championship. I just kind of needed a little me time. Me and the family. I just took it from there. I went to go see the World Cup, it was a great time for me, one of the best of my life. I got to stay on safari. And then when I got back home, I took care of business." But Bynum’s post-World Cup surgery plans hit a road block when doctors discovered that his injury was more extensive and would require a longer recovery time, pushing his return to the Lakers back to possibly November, at best. SI.com’s Nicki Jhablava will bring the latest news from the NBA in her Training Camp Buzz. While we still may have a few more weeks until the NBA’s season opener, college football is in full swing with tonight’s Aggies-Cowboys matchup-up and baseball playoff action. Texas A&M Aggies vs. Oklahoma State Cowboys (7:30 p.m., ET) – Undefeated Texas A&M and Oklahoma State will go head-to-head in tonight’s Big 12 face-off. The win would be a huge coup for either team and their Big 12 South prospects. Former President Jimmy Carter left a hospital in Cleveland, Ohio on Thursday afternoon after spending two days recovering from a gastric viral infection. He will resume his schedule with a meeting this week in Washington, D.C., a statement from the Carter Center and MetroHealth Medical Center said. Carter thanked his medical team for "attentive and comprehensive care" and expressed appreciation to all those who wished him well. Carter, who turns 86 Friday, suffered stomach distress Tuesday during a flight to Cleveland, where he had planned to sign copies of his new book, "White House Diary." White House Chief of Staff Rahm Emanuel will step down Friday to run for mayor of Chicago, two sources told CNN Thursday. Candidates for the Chicago mayoral race must gather 12,500 signatures by November 22. '100 percent' chance for life on newly found planet? 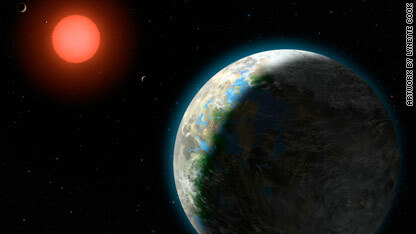 An artist rendering shows the four inner planets of the Gliese 581 system and their host star. Gliese 581g may be the new Earth. A team of astronomers from the University of California and the Carnegie Institute of Washington say they've found a planet like ours, 20 light years (120 trillion miles) from Earth, where the basic conditions for life are good. "The chances for life on this planet are 100 percent," Steven Vogt, a UC professor of astronomy and astrophysics says. "I have almost no doubt about it." The planet is three times the size of Earth, but the gravity is similar. Dr. Elizabeth Cunningham, planetarium astronomer at the Royal Observatory in Greenwich, says the discovery is a huge deal. "It could have liquid water on the surface," she said. "That's the first step to find life." The Seattle-based author and “Savage Love” advice columnist has launched a YouTube channel that allows gays, lesbians and their straight allies to post messages of encouragement to young teens and tweens questioning or struggling with their sexuality. The site, launched September 15, features at least 200 videos and is part of an effort to deter gay youths from committing suicide. There have been about 500,000 views of the channel so far, with more than 6,000 people subscribing to it. Disturbances broke out Thursday on the streets of Quito, the capital of Ecuador, as national police protested the government's cancellation of bonuses and promotions, images on the official Ecuador TV showed. The broadcast showed mobs on the streets and clouds of black smoke coming from burning tires. Rank-and-file police took over their headquarters, Ecuador TV said. "We work 14 hours a day," a uniformed officer said. "We are the ones who never protest." Said another: "One hour without police. Let's see what happens." On the evening of September 19, Rutgers University student Dharun Ravi is believed to have sent a message by Twitter about his roommate, Tyler Clementi. "Roommate asked for the room till midnight. I went into molly's room and turned on my webcam. I saw him making out with a dude. Yay." Ravi, 18, of Plainsboro, New Jersey, surreptitiously placed the camera in their dorm room and broadcast video of Clementi's sexual encounter on the internet, the Middlesex County prosecutor's office said. Ravi tried to use the webcam again on two days later, on September 21. "Anyone with iChat, I dare you to video chat me between the hours of 9:30 and 12. Yes it's happening again," Ravi is believed to have tweeted. The next day, Clementi was dead. and cell phone were found on the bridge. A week later, the New York City Police harbor unit recovered the body of an unidentified male from the Hudson River. 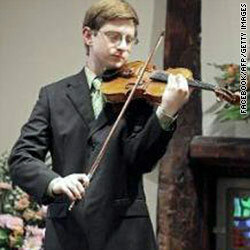 Thursday, authorities were trying to determine if it was Clementi's body. Kim Jong Un, bottom left, and his father, bottom right center, are seen with the rest of the Workers Party of Korea's central military commission. North Korea's state news agency has released the first photo of Kim Jong Il's youngest son since he was named vice chairman of the Workers Party of Korea's central military commission. Little is known about Kim Jong Un. Only two photos of him consistently circulate in news reports outside of North Korea because he's been kept off the radar by the North. Kim Jong Un, who is widely expected to be the successor to North Korea's "Dear Leader," was also named to the Central Committee of the party. Earlier, during the WPK conference, the younger Kim became a four-star general, according to the state-run Korean Central News Agency. 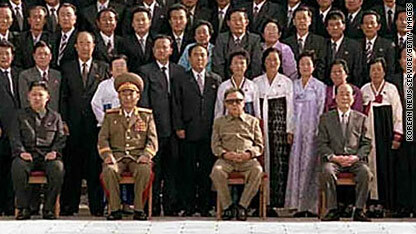 This photo was taken with the entire body and new leaders of the WPK at Kumsusan Memorial Palace, Pyongyang reported. The Workers Party of Korea last convened its delegates more than four decades ago. Tony Curtis - The spokeswoman for Jamie Lee Curtis, Heidi Schaeffer, tells CNN that Tony Curtis has died. The Associated Press reports that the Clark County Coroner's office has confirmed that Curtis died at his home last night of a cardiac arrest. Curtis starred in more than 140 major motion pictures and was nominated for an Oscar for his performance in 1958's "The Defiant Ones" with Sidney Poitier. Curtis also is known for his roles in the 1959 movie "Some Like it Hot" with Marilyn Monroe and Jack Lemmon and "Spartacus" in 1960 with Kirk Douglas. Torrential rain - Tropical Storm Nicole only lasted a few hours, but its remnants, along with a stalled frontal boundary, are expected to dump heavy rain Thursday on parts of the Eastern Seaboard. Pakistan has banned NATO supply convoys from entering Afghanistan after fighting between NATO troops and militants led to the killing of three Pakistani soldiers, according to a military official from the NATO-led command in Afghanistan. The troops were killed when three NATO helicopters crossed from Afghanistan into Pakistani airspace early Thursday and attacked a military outpost, Pakistani security officials said. 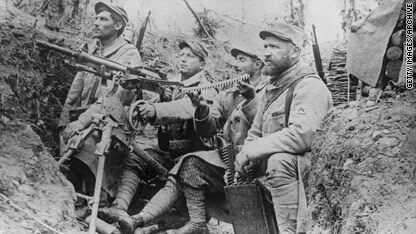 Three troops were wounded as well, the officials said. persuade Pakistan to lift the ban. Coalition forces rely heavily on convoys from Pakistan to bring in supplies and gear. Peter Flax: Yes, it was 1/400th of the normal limit they test for. They're talking about a trace amount of a 20-year-old asthma drug. It's a really shocking piece of news. John Roberts: So Alberto Contador claims that it was food contamination that led to this. Are they offering any further explanation of how this food might have gotten contaminated? Flax: No, my desk will be buzzing with all sorts of statements and press releases. I think they're holding off on that piece until the press conference in a little while. In the present anti-doping system the way its written, athletes have to take responsibility for what goes into their body. He's on the hook in that way. I have to admit like a lot of observers seeing a trace amount of such an easily detectable drug that stays so long in your system that's so old, it does make you think there's a high likelihood that there's some explanation other than a deliberate amendment for performance enhancing. Toy manufacturer Fisher Price announced Thursday that it has recalled about 10 millions toys because they were dangerous to children. The toy maker said it has recalled about 2.8 million of several types of baby play areas with inflatable balls because of problems with choking. It also recalled 125,000 of the toys in Canada. The company found that a valve from the inflatable ball can come off and become a choking hazard. Fisher Price said it knew of 46 reports where the valve came off in the U.S. and eight incidents in Canada. "These include 14 reports of the valve found in a child's mouth and three reports of a child beginning to choke. No injuries have been reported," the company said. More than 7 million tricycles were also being recalled over a protruding part that had cut children, the company said.